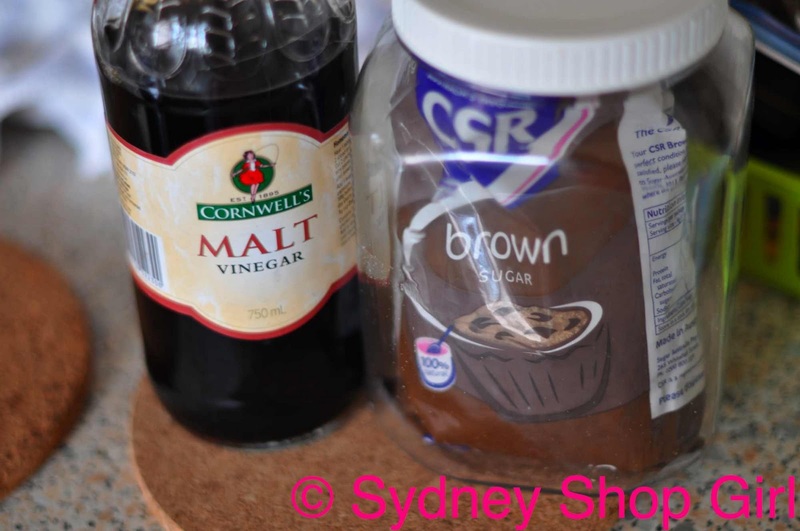 Sydney Shop Girl: It's Too Hot for Chicken Soup. Slow Sundays Are Just As Good For the Soul. It's Too Hot for Chicken Soup. Slow Sundays Are Just As Good For the Soul. Dawn broke this morning over a city pushed to the limits of human endurance. 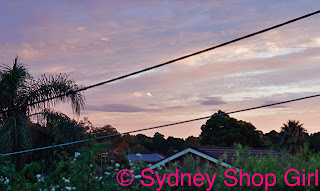 It was a beautiful water colour of blue, white, grey and lavender. It reminded me of the dress I tried on yesterday at Scanlan & Theodore except that it also featured nave blue in the mix. The heavens are literally imploring me to go back and buy that dress. Random flashbacks to recent shopping experiences. It's a sign that life is getting back to normal with a vengeance. How's your Sunday going? Me, I'm taking it slow. Conserving energy, trying not to break out into too much of a sweat. Days with objectives like these are good for the soul. It's too hot for chicken soup. There have been consequences of the recent weather conditions. After the heat wave, there are always ants. They've invaded our bathroom again. 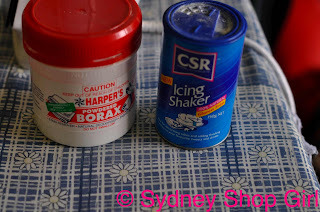 I have two things for you, ant invaders - Borax and icing sugar. May my home made concoction triumph over you. 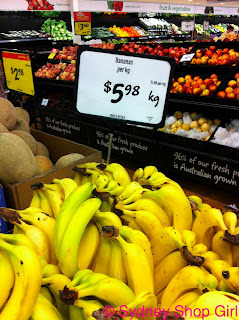 The price of bananas at Coles is steadily going heavenwards. They haven't quite reached the price per kilo that I'll bail out on them... yet. Green has been on my mind this weekend. This weekend's style feature in the SMH was devoted to citrus shades and the radiant Faux Fucshia has been rocking green herself in the last few days. I remembered my Zara top from KL circa 2008 and gave it a bit of an iron. 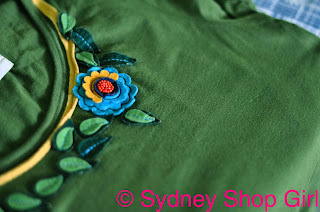 My favourite thing about it is the flower detail at the neck line. The flowers and leaves are felt and there are red beads at the centre of the flower. I also excavated these old sass&bide denim shorts. 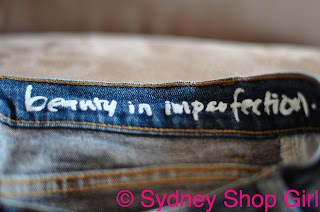 I'm all for wearing inspirational quotes inside waistbands. Well, it didn't last long. My going cold turkey on magazines. 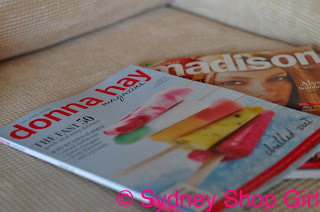 The donna hay cover of icy poles proved too attractive to ignore in the current heat. I don't know what I'm doing with the Valentine's Day issue of madison though. Except I haven't read it in ages and it was the most non scandalous women's magazine available at the check out. The things we do on go slow weekends. 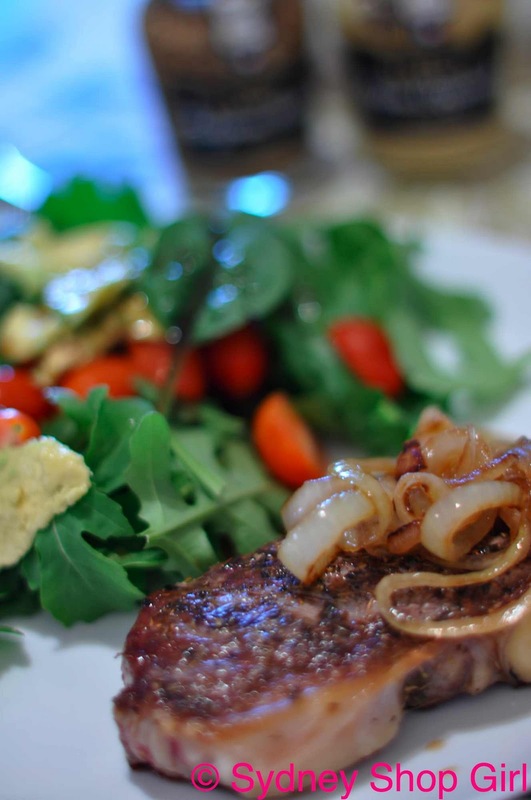 You must try Donna Hay's recipe from 'No Time to Cook' for pickled onions and steak. It is so easy and so tasty. Fried / grilled onion rounds are soaked in a mixture of brown sugar and malt vinegar. And then used to top grilled steaks marinated in dried oregano and thyme. I served it with a salad of rocket, avocado, spinach and grape tomatoes with a pomegranate molasses dressing. Gee, there's a lot to get through today! One last thing. A big thank you to Nic H over at Nicole's World. I won this lovely prize through her recent mega giveaway. The hair clips are just what I need for my shorter hair. Okay, and that's about it from me today. Good to see you're back on deck. I've just started a blog, and referred to you therein. Hope you don't mind? You'll have to give me a heads up on blogging etiquette. Jo: how exciting! I'll pop across soon and have a read. I'm honoured to be referenced! I'll be glad to help in any way that I can. How gorgeous is GREEN at the mo mo!? I think I was completely swayed over to it after seeing Angelina rock the heck out of it at some awards ceremony recently. I got the Donna Hay magazine yesterday for night duty and Harpers Bazaaar... I was reading Donna Hay at 3am this morning in the one quiet hour where all my patient's were settled. I've folded a few corners and hope to cook something from it this week. Hope you have a fantastic week SSG. Love green. After black, purple and red it's almost my favourite colour. And it's so summery and pretty. Love the Zara. I love Madison - I find the fashion somewhat more relevant to my tastes and the whole magazine just a bit more me. Yes - the banana war starts now. I'm waiting for the price of banana bread to go through the roof, even though I strongly suspect no real banana has been anywhere close to a commercially made loaf of BB.... You heard it here first. Am so glad the weather has finally broken. The heat was starting to become unbearable and that comes from someone safely ensconced in aircon. But with all those horrible reports of devastation up North I check myself when I start to complain about the heat... Not being able to sleep for a few nights really doesn't bear talking about when people have lost their lives, their livelihoods, their homes and their loved ones. It's important to have a little perspective, no? Merowyn: so glad the night went okay. The new DH magazine is fantastic. 4 san choy bao options for a start and the skinny on the Oprah event. I'm getting inspired again. Kitty: I agree, watching the news has helped put many things in perspective and I've been trying to not let the heat defeat me. Now that the mercury has dropped, life begins all over again. I heard it has been terribly hot in Sydney the last few days. I hope that you're not feeling too icky with it all. 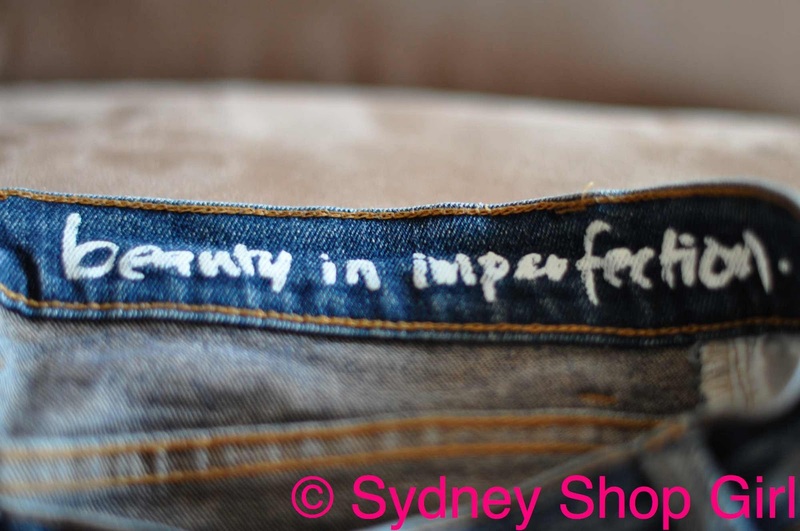 I LOVE the quote in the sass and bide denim shorts. 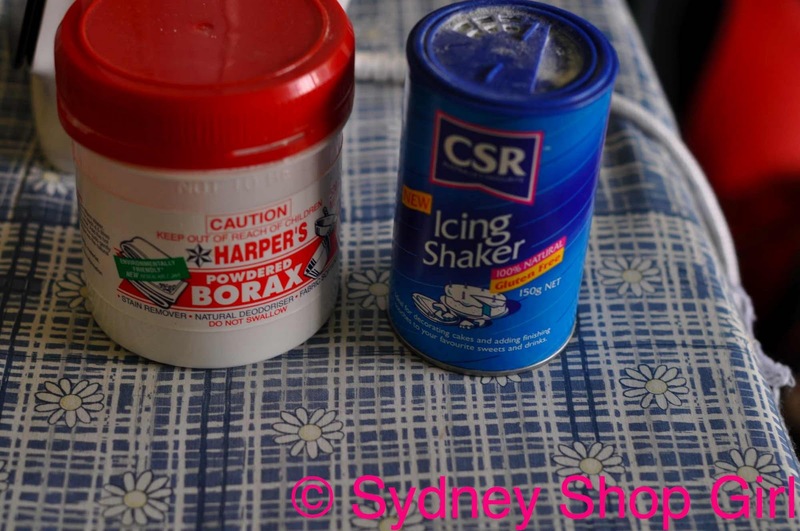 Oh, and how did I not know about the CSR icing sugar shaker? Have I been living under a rock? My first follower! You're too kind. And yes, you must buy that dress. Glad you liked your items, enjoy them and hope they help keep you cool in the heat. I'm kind of bracing for when the banana prices go super crazy. I love bananas. I don't think I can live without them. And isn't it fantastic how the temperature has finally gone down? Hope you have a fantastic week SSG!!! I resisted buying that Donna Hay magazine just yesterday, now you've gone and tempted me all over again! I'm stockpiling banana's and freezing them like some sort of Evil Banana Overlord, as the price goes higher & higher I'll be the one opening my fridge & cackling like a maniac. I will also be making smoothies. Bananas will be gold soon.